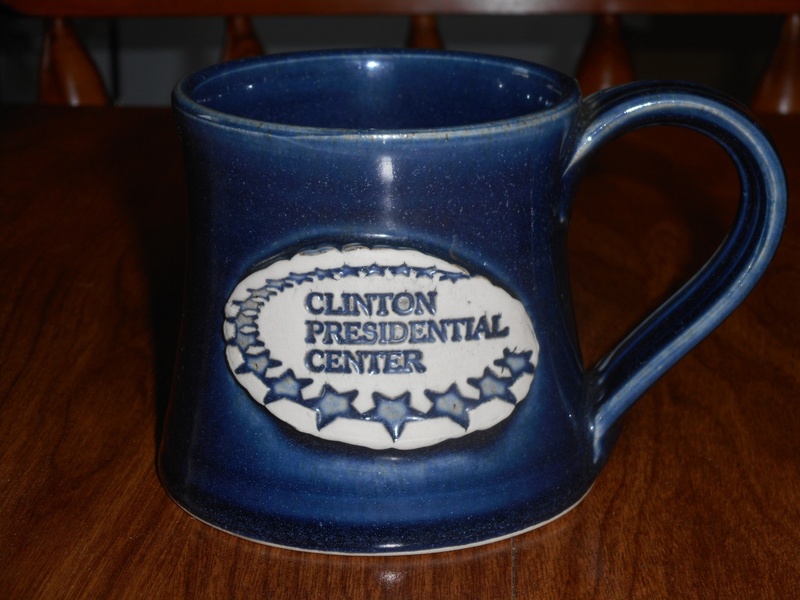 After contemplating life, while standing on the bridge overlooking a river, I walked a few more steps over to the extremely informative Presidential Library for President William J. Clinton. I lived through that presidency, but I learned even more about its accomplishments and challenges after visiting the library. More so that any other presidential library I have visited, it used technology to let you pick what topics you wanted to know more about. After filling up with all that information, it felt good to stand again on the outside suspension bridge and watch the river below. 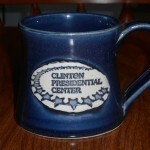 Earlier, I had exercised restraint at the pottery shops, but I gave in and bought a mug in the Presidential Library’s gift shop when I saw it was the same style mug I had been admiring in Mountain View. Whenever I look at it, I think of the Arkansas Traveler.